"If you're looking for ideas for your World Cup party, try these soccer-themed mini cheese balls. They are quick and easy to make and look great on a cheese platter." Combine cream cheese and Gouda cheese in a bowl and season with balsamic vinegar. Cut off small portions of the cheese mixture with a teaspoon and roll into balls. Cut olives in half and then into small squares. 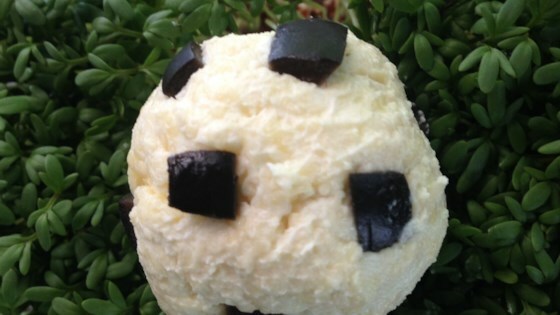 Push olive squares onto the outside of the cheese balls so they look like soccer balls.